We're committed to sharing the love of God by providing impactful services for those in need with the help of our faithful donors, dedicated staff, and countless volunteers. It is our hope that, with your help, we can continue to keep up with the ever-growing demand in Silicon Valley to help those in need for years to come. 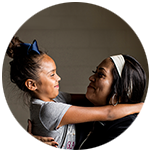 From providing a home for homeless and encouraging children to weekly worship services and hot, nutritious meals for senior citizens, The Salvation Army Silicon Valley is committed to serving our community where the need is greatest. To meet the growing need in the Silicon Valley, we have multiple locations scattered across the Bay Area. In addition to the programs listed below, we also offer Salvation Army Family Stores, where you can purchase donated goods. The proceeds of these sales are then used to fund our Adult Rehabilitation Centers. 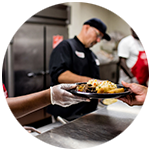 For over 50 years, the Emmanuel House has prepared hot meals for men, women, and children throughout the Silicon Valley. 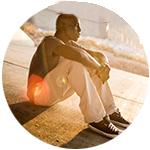 In addition, we also provide overnight shelter services to homeless men. As brothers and sisters in Christ, we recognize the importance of serving families in our community. That's why we provide fresh groceries, subsidize transportation costs, and help pay rent and deposits for families in need. 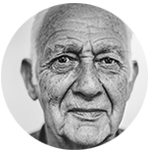 Every day, senior citizens gather at our Senior Nutrition Center for a hot, healthy meal and welcoming community. We also facilitate field trips, play games, throw fun holiday parties, provide HDTV and DVDs, and so more. We provide 1-on-1 homework help and counseling services, no-fee and low-cost after-school programs, and music & arts programs. 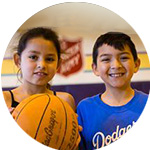 We also provide Summer Day Camp programs where kids can learn, make friends, and eat a meal. We help residents to combat their addictions, build the work and social skills needed to re-enter the workforce, regain health and stability, and restore families that have been disrupted due to substance abuse. Donors and volunteers are critical in helping us meet the need in Silicon Valley. As housing prices soar with no end in sight, the gap between rich and poor only gets larger. Help us do the most good by giving today.